Ocarina of Time speedruns are already challenging, from Any% that use all sorts of glitches to speed through the game to 100% runs that collect everything. A new tool-assisted run takes things a step further, completing all dungeons without opening a single door. A tool-assisted speedrun (TAS) uses emulation and special software to play a game a perfectly as possible. Recently, the first Twilight Princess TAS was dramatically revealed when the creator submitted it as a world record run as a clever publicity stunt. 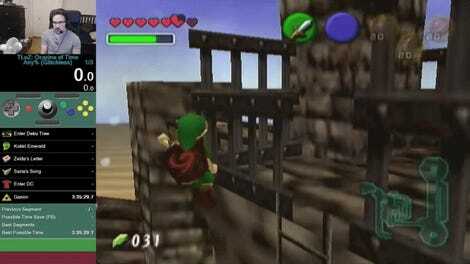 Tool-assisted Ocarina of Time runs include high level play and tricks, but the new “All Dungeon, No Doors” created with game inputs from speedrunner TaylorTorFTW and conceived by the “No Doors Collective,” a loose collection of runners dedicate to creating No Doors runs , completes the entire game without opening a single door. You can read the run’s rules and credits here. The TAS was revealed on Twitch with a commentated run by TaylorTotFTW and well-known Ocarina 100% speedrunner ZFG. During the run, they outline the numerous tricks that allow them to bypass doors, largely through clipping out of bounds at key moments or using complicated tricks to warp directly into rooms that are usually inaccessible without opening a door. Among the most intricate glitches is a trick that allows the TAS to warp Link into the Spirit Temple’s boss room. It requires putting the magic spell Farore’s Wind onto the B button, which is usually reserved for Link’s sword. 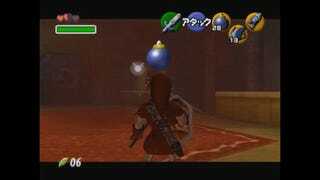 After some fancy movement tricks, they drop the magical warp spell in a specific spot in the temple before warping across the world to Goron City. This lets them fall out of bounds at the correct spot so that they fall right into the boss battle with a sword. It’s the best kind of glitch madness, and ZFG explains it all here. There have been Any% runs of the game using no doors, but this is the first all dungeons run, thanks in large part to the trick up above. The No Doors Collective and its various runners worked hard to find a route through the game. You can see some of their process in the video above, which shows all the out of bounds tricks with the game’s collision view turned on. It changes the game into a rainbow wonderland any time Link goes out of bounds. Runs like “All Dungeons, No Doors” are both silly and incredibly impressive, allowing runners free rein to turn games into their own personal playgrounds. This run is a great example of how speedrunners can take a game like Ocarina of Time and twist it into something new nearly 20 years later.